An 80's Live Rock Experience! 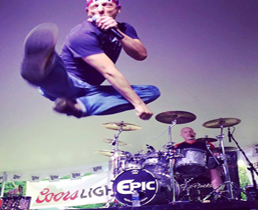 EPIC is an 80's cover band in the Chicagoland area that delights their crowds with fan interaction and professionalism. We engage crowds of all ages through high energy and perform the beloved songs that remain popular for today's audiences. Click HERE for all the latest show pictures! Click HERE to join our emailing list for all the upcoming shows and latest Epic news! And while your at it, send us your comments and suggest a song for us to play!